Abstract: The optical microscope is widely used in various fields to observe the micro objects, but the obtained information through the typical microscope via an image at once is not three-dimensional (3D). Recently, the 3D microscopic systems based on the stereoscopic, integral imaging and holographic 3D techniques have begun to be widely used; and currently, it became a hot topic on the biomedical field. Stereoscopic microscopes are utilized in the micro surgeries such as cataract surgery, and in the surgeries for small animals. However, the stereoscopic microscopic system has some limitations on the depth or parallax visualizations where the user observes the micro objects through the stereoscopic glasses. Integral imaging microscopy acquires full 3D information of the specimen through micro lens array, and display the parallax-view and depth images for specimen on the display device such as LCD. A holographic microscopy acquires the full 3D information of the micro object through holographic recording method using the laser illumination, and reconstructs the 3D visualization of the micro objects through the laser illumination-based holographic reconstruction method. Biography: Prof. Nam Kim received his Ph. D. degree in Electronic Engineering from Yonsei University, Seoul, South Korea, in 1988. 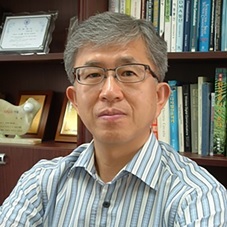 Since 1989, he has been a professor in the School of Information and Communication Engineering, Chungbuk National University. From 1992 to 1993, he spent 1 year as a visiting researcher in Dr. Goodman’s group at Stanford University. In addition, he attended Caltech as a visiting professor from 2000 to 2001. Currently, he is a member/chairman of EMC Technical Committee (since March 1998), an advisor to National Institute of Radiological Science (since July 2008), a member of Industrial Standardization Council of the Ministry of Knowledge Economy (since April 2009), a chairman of 3D Industry Standardization Technology Research Association in the National Institute of Standards and Technology (since May 2009), a chairman of Korea Wireless Power Transmission Forum Steering Committee (since December 2011), a convener of IEC TC 110 WG6 (3D Display) (since August 2012), a member of Self-Evaluation Committee of the Ministry of Future Creation Science (since September 2013), an expert member of Basic Research Division in Korea Research Foundation (since July 2014), a president of The Bioelectromagnetic Society (since June 2015), and a director of IT Research Center on Hologram Convergence Technology in Chungbuk National University (since 2015). Also, he is an author of more than 80 scientific articles, and more than 30 patents. His research interests include the application of 3D image processing and 3D display technology based on stereoscopy, holography and integral imaging techniques, diffractive optics, and 3D microscopy.